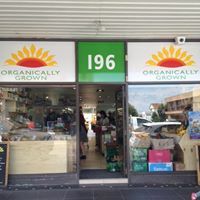 Servicing Victoria for over 20 years, Organically Grown is owned and operated by Bill and Therese Toulmin and provides the public with organic fruit, vegetables and products. Bill Toulmin has been working in the farming industry his whole life, and first became involved in organic farming and foods whilst working for an organic juice company in 1990. By 1995 he had purchased Organically Grown and promptly expanded the produce range to not only include fruit and vegetables; but other certified produce and dry goods.